21 Glenbrook / Coldwater / Dupont Rd. Download and view the entire route map in PDF format. In this type of format you can print out the map for reference when you are looking at your schedule or you can use it to help make your schedule. Part one will provide you with any information you need for riding the bus; fares, rules, contact numbers, etc. Part two will show you the route number & color, along with area landmarks and other street names. Download part two of the Route Map. Download the right/left bus route directions. 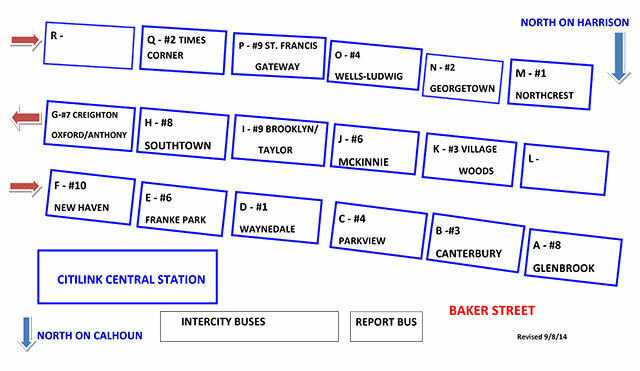 Citilink also has routes to the area Parks—Click here to view bus routes to the Parks.